She immigrated on 2 Apr 1907 to Havana, Cuba.4,23 It is almost certain she first came to Cuba on this date, nearly 2 years after her husband Manuel (who may, however, have returned to Spain in the meantime). 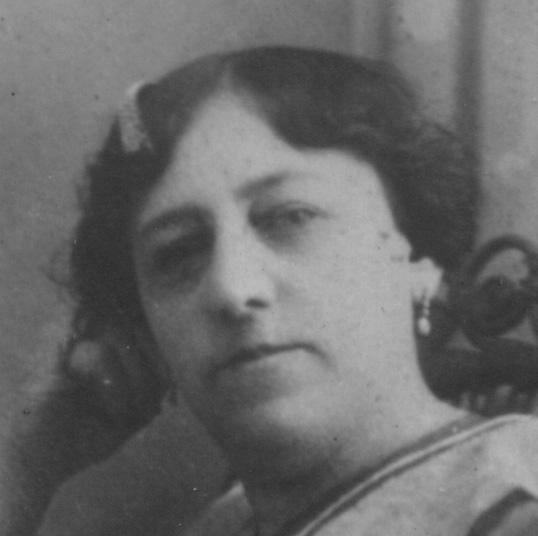 According to Isabel BESTEIRO GRACCIANI, she came with her children Pepita, Jorge and Isabel, and this is verified by an entry in the 2 April 1907 edition of El Diario de la Marina, which lists "Victoria Gración y tres hijos." She lived Consulado 104-106 in Havana, Cuba in 1908.24 This is where her son Francisco LAGOS GRACIANI was born in October 1908. She was living in 1924 in Paterson, Passaic, NJ, USA.28 On the 1924 passenger manifest of their trip from Cuba (arrived 7 April 1924), Victorina and her husband Manuel were listed as US residents. She was living about 1927/28 in Paterson, Passaic, NJ, USA. Manuel and Victorina lived first at Oak Street, then Madison Street. (This was while the Lagos family was living at 922 22nd Street.) She left Paterson - possibly for the last time - to help her daughter Isabel when Isabel's son Pepe was born in October 1928. She died on 14 Jul 1931 in Havana, Cuba.29 From cemetery documentation at home of Arturo VÁLDES DENIS: Cuartel Noroeste Cuadro 10 Campo Com. Bóved 21 . . . Milicia Josefina 8163. / 10 julio 1931 Joaquín / 15 julio 1931 Victorina She was exhumed and placed in an ossuary on 31 May 1944 in Havana, Cuba29 She was also known as GRAZZIANI and GRACCIANI. Her funeral card says "GRACCIANI LORENZO", and her children used the second apellido "GRACCIANI". She the original Maina. This was a mispronunciation of "Mama Victorina" by her granddaughter Carmen LAGOS BESTEIRO. Victorina GRACIANI LORENZO and Ricardo Julián BESTEIRO FERNÁNDEZ were married in 1881/82 in Madrid, Spain. Según la historia oral, Ricardo fué rechazado por su familia por casarse con una actriz. 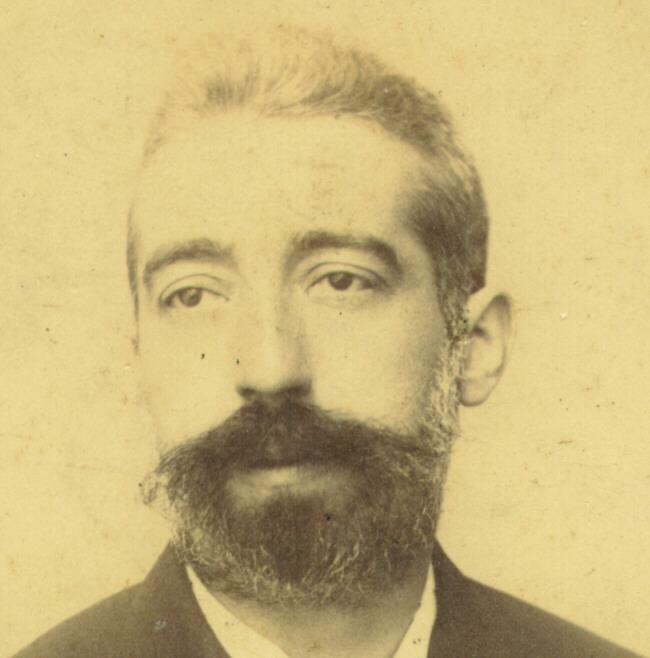 Ricardo Julián BESTEIRO FERNÁNDEZ (son of José Francisco BESTEIRO GUIZA and Juana Peregrina FERNÁNDEZ GARCÍA) was born on 7 Feb 1854 in Madrid, Spain.30,31 Full name: Ricardo Julián José María He was baptized on 8 Feb 1854 in Madrid, Spain.31,32 Baptized at San Ginés. i. Domingo (Uncle Dominic) BESTEIRO GRACCIANI. ii. Josefa (Pepita) [Maina] BESTEIRO GRACIANI. v. Isabel (Aunt Betty) BESTEIRO GRACCIANI. Victorina GRACIANI LORENZO and Manuel LAGOS TOLEDO were married on 4 Jan 1904 in Madrid, Spain. Manuel LAGOS TOLEDO (son of Francisco (Frasquito) LAGOS MUÑOZ and Mª del Carmen (Mariquita) TOLEDO RUIZ) was born on 3 Jan 1878 in Periana, Málaga, Spain.34,35,36 Nació en la casa de sus padres, Calle de las Monjas nº 3. He was educated at the Instituto de Cardenal Cisneros and received «el Título de Bachiller» on 18 Dec 1893 in Madrid, Spain.37 He immigrated on 18 Apr 1905 to Havana, Cuba.4,38 He sailed on the Manuel Calvo, which departed Barcelona on 26 March. He arrived at Ellis Island, New York, on 11 April, and got to Havana on 18 April. He lived at Consulado 104-106 in Havana, Cuba in 1908.24 This is where his son Francisco LAGOS GRACIANI was born in October 1908. He lived at San Nicolás, 1 in Havana, Cuba in Dec 1909.39 This is where he was living when his son Paquito died on 12 Dec. 1909. He lived at San Nicolás, 1 in Havana, Cuba in 1912.40 He visited on 12 Nov 1914 in New York, NY, USA.25 Arrived from Barcelona with his wife and her youngest daughter Isabel to visit his brother and his family, living at 344 E. 85th Street. 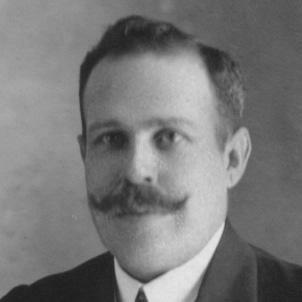 He was a «contador» (accountant) at the Compañía Eléctrica Santiago in Santiago, Cuba in 1918.41 We know he was at this position in 1918 because of a 21 September newsclipping brought back by Gregorio LAGOS ESCALONA, who visited Cuba at that time. This occupation appears to have lasted several years. He visited on 4 Oct 1922 in Paterson, Passaic, NJ, USA. He was living in 1924 in Paterson, Passaic, NJ, USA.28 This, according to the ship manifest of his and Victorina's trip from Havana on 7 April 1924. He lived in 1927/28 in Paterson, Passaic, NJ, USA. Manuel and Victorina lived first at Oak Street, then Madison Street. (This was while the Lagos family was living at 922 22nd Street.) He shot himself in an unsuccessful attempt to commit suicide about Aug 1934 in Havana, Cuba.42 His brother Antonio, who visited him shortly afterwards, noted that the cause of this misfortune "looked like Betty Boop." He lived with his brother Antonio and family for a time between 1936 and 1939 in Paterson, Passaic, NJ, USA.42 The exact time period is not clear, but the total time was probably about a year or so. This was when the family was living at 129 Lenox Avenue. i. Francisco (Paquito) LAGOS GRACIANI ** was born on 13 Oct 1908 in Havana, Cuba.24 Born at "la casa núms. 104 y 106 de la calle Consulado". 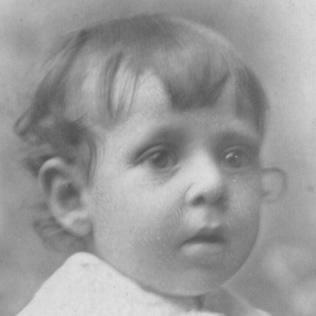 He was baptized on 13 Nov 1908 in Havana, Cuba.24 His birth & baptism announcement reads: "Yó Francisco Lagos Graciani vine al mundo en 13 y Martes, dos días que dicen ser fatídicos pero yo no lo creo. Hecha ya mi presentación quiero decirles á ustedes: Que nací en la casa núms. 104 y 106 de la calle Consulado; Que son mis papas Manuel Lagos Toledo y Victorina Lagos Graciani y Lorenzo; Que mi bautizo hecho hoy 13 Noviembre; debió verificarse en la Iglesia de Montserrate pero al capricho de mi tío y padrino se debe el haber recibido las aguas de Jordan en mi propia casa; Que son mis padrinos Antonio Lagos Toledo é Isabel Besteiro Graciani; Y nada más ..... Paquito" (I . . . came into the world on the 13th and a Tuesday, two days which they claim are ominous, but I don't believe it . . . I was baptized today the 13th of November. It should have taken place at the Church of Montserrate but at the whim of my uncle and godfather I received the waters of the Jordan at my own house . . . My godparents are Antonio Lagos Toledo and Isabel Besteiro Graciani. And nothing else. . . . Paquito). He died on 12 Dec 1909 in Havana, Cuba.39 The news paper Diario de la Marina referenced a December 12 entry in the Registro Civil: "Francisco Lagos, 3 meses, San Nicolas, 1." The age was off by a year, but the address was correct and the family oral history always stated that he was a bit over a year old when he died.